Pinecam.com • View topic - Free Nurturing Parenting Program begins January 17th! Post subject: Free Nurturing Parenting Program begins January 17th! 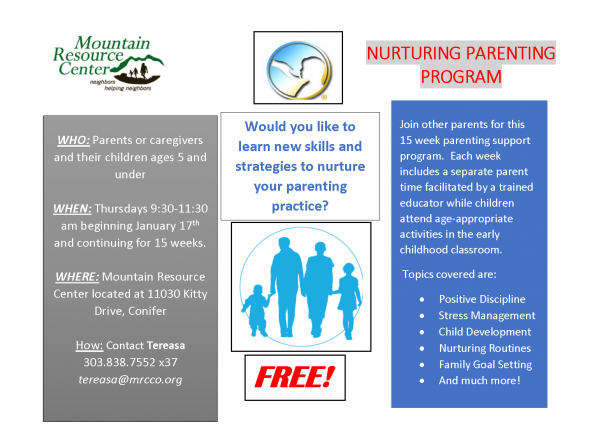 Sign up today for the Nurturing Parenting workshop begins January 16th at Mountain Resource Center.